Providing children with picture books that deal with prejudices and discrimination can help youngsters learn not to judge others based on physical characteristics. Hands Around the World: 365 Creative Ways to Encourage Cultural Awareness and Global Respect by Susan Milord is suitable for children in grades one through six. This book showcases various cultures and includes projects that kids will like. Who's in a Family? by Robert Skutch presents kindergarten to second grade children a picture book of different types of families, from the traditional nuclear family to those made up of two dads or two moms, single parents, grandparents only or those with multiracial members. 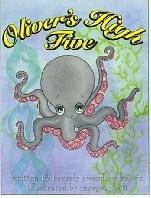 Oliver's High Five by Beverly Swerdlow Brown shows that an octopus with only five tentacles doesn't let anything stop him from having a positive attitude and living his life. This is a good book for kids ages 4 to 8. People by Peter Spier is an illustrated book perfect for children ages 4 to 8. Various pictures show the many different types of people who live all around us, from tall to short, skinny to heavy, light to dark. A Life Like Mine, for kids ages 9 to 12, demonstrates what life is like in other countries around the world. For children who don't have a lot of exposure to different cultures, this book can be an eye-opener to understanding that people practice various customs, but on a basic level, we're all part of the human family. It's never too early to teach your children that the world is made up of all kinds of people. There are different skin colors, religions, languages, lifestyles and customs, but all of them deserve respect. Parents should try to examine their own prejudices and then work with their children in accepting everyone. Just as adults pass on biases, they can also pass on their willingness to accept others, no matter what, to future generations.